A loss (of the Test and the Series) - Alviro Petersen and Graeme Smith needed only 48 minutes and 11.4 overs to knock off the runs. It meant that Jacques Kallis, playing in his last Test, did not need to bat again after his first innings of 115 built the platform for South Africa to take a crucial 166-run first innings lead. The score card reads : South Africa 500 (Kallis 115, de Villiers 74, Jadeja 6-138) and 59 for 0 beat India 334 (Vijay 97, Pujara 70, Steyn 6-100) and 223 (Rahane 96, Peterson 4-74) by ten wickets – but somehow the loss does not hurt so much !!!!! 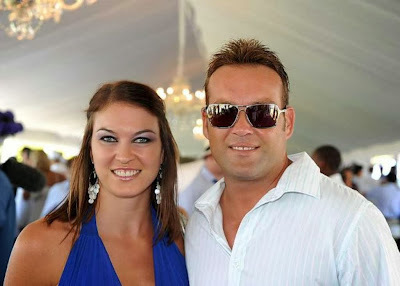 In a season of retirements, Pretoria gave their fine batsman Jacques Kallis' a perfect end – he himself made it grand too. Kallis will retire satisfied at having been an integral part of a South Africa side who are the undisputed No. 1 in Tests, having lost just one of their previous 25 series stretching back to 2006. Steyn blowed them over……….. Rohit Sharma had shouldered arms and lost his middle stump first ball in the first innings, but he fared better this time around. There was plenty of chat with a fired-up Steyn, who sledged him with lines like "I've got more runs than you this series," and "You have done nothing in your career." Rohit survived both Steyn's spell and the verbals, but there was no redemption on a disappointing tour for him as he was caught lbw by a ripping incutter from Vernon Philander for 25. His Mumbai team-mate Rahane, though, has vastly enhanced his reputation on this series. This 1-0 series defeat for India has in someways exceeded the expectations off this young and inexperienced team. At the Wanderers they had almost batted South Africa out of the game, but then witnessed a miraculous comeback that nearly left them beaten. At Kingsmead, India were 198 for 1 on a flat pitch but still ended up losing a Test that was shortened by rain and bad light. Dhoni was very cool when SA came so close in the 1st test but at Durban he was perhaps too defensive and some positive play on day 4 perhaps could have got us some more runs though whether they in any way would have changed the result is debatable. Dhoni's explanation for playing the waiting game with the softer ball that wouldn't travel off the bat hinted at the fast bowlers' shortcomings. He is quoted as asking "What will we do with the new ball?" Dhoni asked. "Can't swing it. Who will bowl the 25 overs to get it to reverse? [Ravindra] Jadeja won't be effective because it's hard and new, so you have to see what your strength is and take a decision. No point. Yes it [the match] started on the 26th, it's Christmas time, but I am not Santa to let them score freely, and say, 'We won't bat for four sessions, we are ready to bat for six sessions.' It's about strategy and what works for you." The India bowlers had bowled a lot in Johannesburg, and were back playing in the hot and humid Durban three days later. The energy was clearly down. Possibly Dhoni worried about those 25 overs with lower intensity, and wondered who would be fresh to bowl if it started reversing after those 25 overs. He also pointed out another shortcoming in the attack. 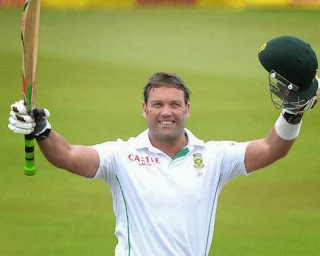 Jacques Henry Kallis took a bow after moving past Ricky Ponting to become the second-highest scorer of Test centuries, behind only Sachin Tendulkar with 51. On a parting note, here is Janine Kallis who had to dance when Kallis was out first ball in an IPL game castled by Delhi Daredevils' left-arm pacer Dirk Nannes. Janine Kallis was part of the cheerleaders' troupe based in Port Elizabeth and as luck would have it, she has been selected as a cheerleader twice to cheer for Jacques' opposition.